A series of interviews with artists spanning various disciplines. Really interesting layout and interactions used here, love the multi-layered approach, offering a sense of depth. Zooming in/out of the layout gives different layers of information, particularly like the menu – which shows a summary of how long the interview is – also like the way you can select a category of interview i.e. process, chaos etc. 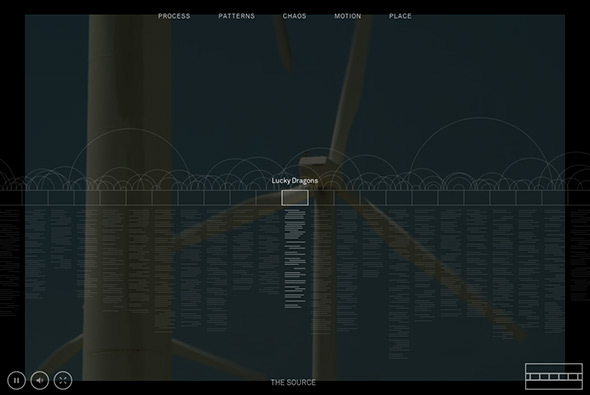 Really slick motion and transitions, and it’s great to see a site that isn’t a simple parallax scroller page. 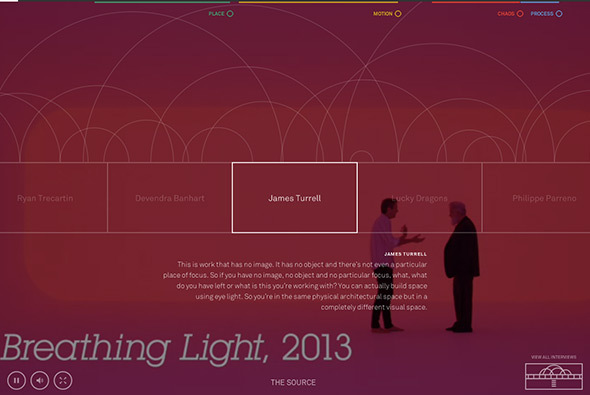 Full of rich interactivity and a nice take on a video site. Created by Use All Five (@useallfive) and Active Theory (@active_theory).